And then, of course, Francis of Assisi, whose all-consuming imitation of Christ seemed rewarded on September 17, 1224, in the hermitage on Mt. Alverno, when he is said to have received the gift of Christ’s wounds in his own flesh—the stigmata. Francis’s disciples in the next two hundred years brought the humanity and sufferings of Christ into the mainstream of devotion. From portable outdoor pulpits and within chapels whose walls were often covered with life-sized Passion scenes, the preaching friars stressed as never before the emotions of Jesus during his ordeal—and the answering emotions of the worshiper. They also championed an ascetic approach that sought to follow Paul, who said, “In my flesh I am completing what is lacking in Christ’s afflictions for the sake of the church” (Col. 1:24). In the late-medieval heyday of Passion piety that followed, many monks, nuns, and layfolk tried in various ways to imitate Jesus’ passion or to experience something of the same extreme suffering as had their Lord. At the same time, the laity picked up another spiritual practice that had once been the preserve of the monastics: the regular discipline of private prayer. The wealthy commissioned beautiful Books of Hours and other aids to help them meditate on the Crucifixion. So that by the time a full-blown Literature of the Passion had developed in the 14th century, laypeople flocked to it. Christians throughout the period from Bernard through Loyola wrote and read increasingly elaborate accounts of the Passion events. The man whose exegetical work opened the floodgates to these newly detailed narratives was Rupert of Deutz (d. 1129). A Belgian who died an abbot in Germany, Rupert mined not only the gospel accounts and a number of apocryphal accounts—all of which had been used before his time to tell the story of the Passion—but also a host of obscure passages in the Old Testament. By an allegorical method of exegesis, Rupert found in the pages of Job, Psalms, Isaiah, and other books new and little-known details of the “Secret Passion” of Christ—the exact number of times he fell down en route to the cross, the drunken condition of Jesus’ tormentors in Caiaphas’s court (Rupert was no friend to the Jews), and so forth. The detail of the executioner’s ropes pulling Jesus’ body taut, for example, came from Psalm 22:17. After Rupert, historian Gerard S. Sloyan says, “A legion of visionaries took their lead from his writings,” elaborating an expanding cast of characters and litany of details of Christ’s suffering. Late 13th- and 14th-century authors went one step further with entire comprehensive biographies of Christ that contained details from outside of the Gospels—most famously, the Vita Christi of Ludolph of Saxony (d. 1378). It was this book that eventually reached a swashbuckling young Inigo (later Ignatius) Loyola, founder of the Jesuit order, in his convalescence from a war wound, and turned his heart toward Christ. Ignatius wrote in his widely used Spiritual Exercises a set of directions on how to place oneself imaginatively in the scene of Christ’s crucifixion. Loyola was working in the same tradition as the anonymous 13th-century author who wrote under the name of the historian Bede, who urged readers to place themselves on the scene of Christ’s trial—to plead with his tormentors, offer their own bodies to be beaten in his stead, and wait with him as he sat in chains, offering their shoulders for him to rest upon. This same tradition founded such longstanding devotional practices as the Passion Play and the Stations of the Cross. 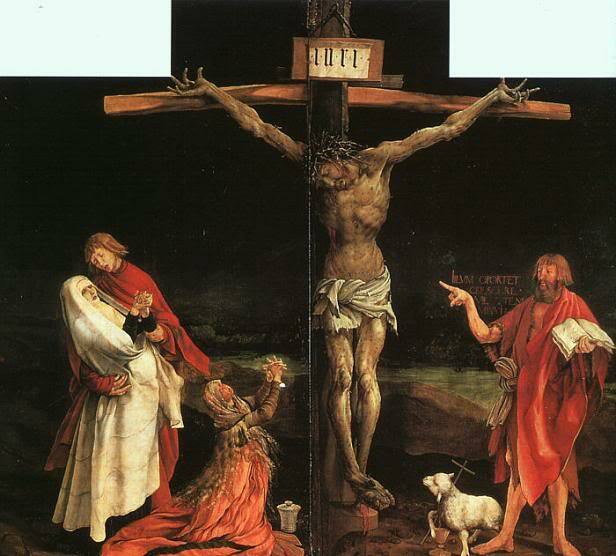 And it was in this period that disturbingly graphic crucifixion paintings (by Hiëronymus Bosch, Albrecht Dürer, and Matthias Grünewald, for example) became much more common. 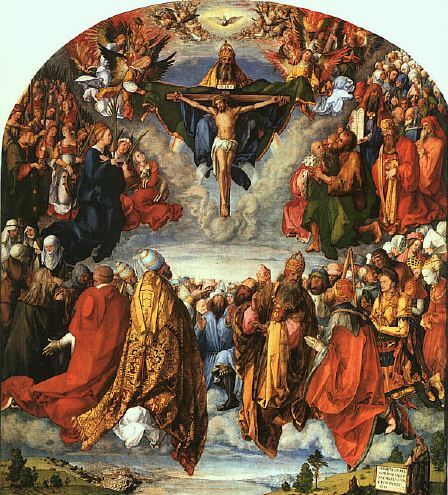 The typical critique of such devotion is that it unduly separated the human and divine natures of Jesus, concentrating exclusively on the former. But for medieval believers, with their sacramental understanding of God’s presence in the material world, depictions of Christ’s wounded body only drove home the truth that in this man the divine became human. Underlying this very tangible, imaginative piety was the belief that the best way to gain understanding is through experience. Both intuitive emotion and practical imitation infused wisdom into one’s very heart and body, in a way that speculative theology could never do. Spiritual leaders like the 14th-century English mystic Walter Hilton continued to teach—as Francis of Assisi had—that the Christian life must be lived out, practically, by imitating Christ’s example of charity. This entry was posted in Medieval Wisdom for Modern Protestants and tagged crucifixion, Francis, Martin Luther, Medieval, Middle Ages, Passion, Passion Play, Rupert of Deutz, the Passion, The Passion of the Christ. Bookmark the permalink.